Turkey's main opposition candidate in Istanbul urged the High Election Board (YSK) on Wednesday to confirm him as the elected mayor after it ruled in favour of a partial recount of votes in eight of the city's 39 districts. 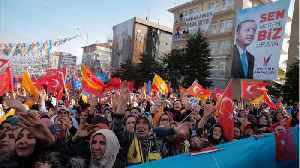 The battle for control over Turkey's largest city rumbles on days after the country's main opposition candidate seized control from the President Tayyip Erdogan's own party. It means that Erdogan and his Justice and Development Party could be about to lose the purse strings of Turkey's largest cities. Ekrem Imamoglu is narrowly in the lead and is urging the high election board to confirm him as the elected mayor. (SOUNDBITE) (Turkish) CHP MAYORAL CANDIDATE IN ISTANBUL, EKREM IMAMOGLU, SAYING: "It's a shame, it's a sin. Do not let the nation's conscience bleed. Give the mandate to us as soon as possible. Don't let Istanbul lose time anymore." Erdogan's party is still fighting for control. They say they'll contest all districts in Istanbul and the capital Ankara, which they also lost. In Istanbul the election board ruled in favor of a partial recount of votes in eight of the city's 39 districts. But these are only local elections so just how big of deal is this loss to Turkey's powerful leader? Well, if those results are confirmed in the coming days, the opposition Republican People's Party will gain control of municipal budgets in Turkey's commerical hub and the capital. The budgets are estimated at over five billion dollars. 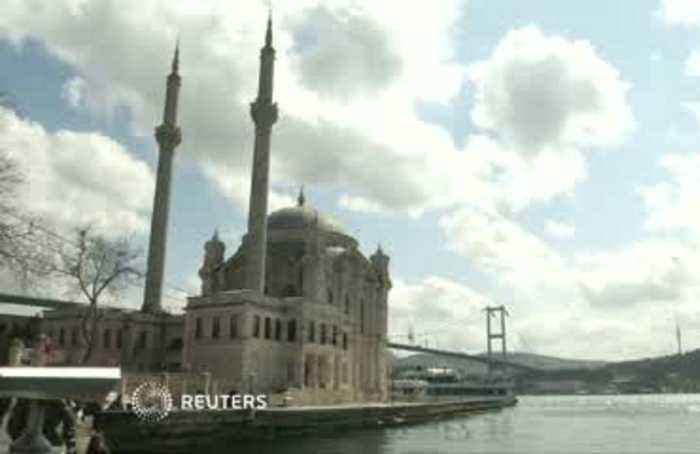 Erdogan would also likely lose some oversight over local contracts in the two cities. That could complicate his efforts to drag the Turkish economy out of recession. His party is calling foul. They say the results had been impacted by invalid votes and voting irregularities. The difference between the votes in Istanbul is 25 thousand and in a city of over 15 million people that's very, very close. According to Reuters, Candidates from President Tayyip Erdogan’s AK Party were leading mayoral elections in Turkey’s two main cities after about one quarter of ballots had been opened. It said the..